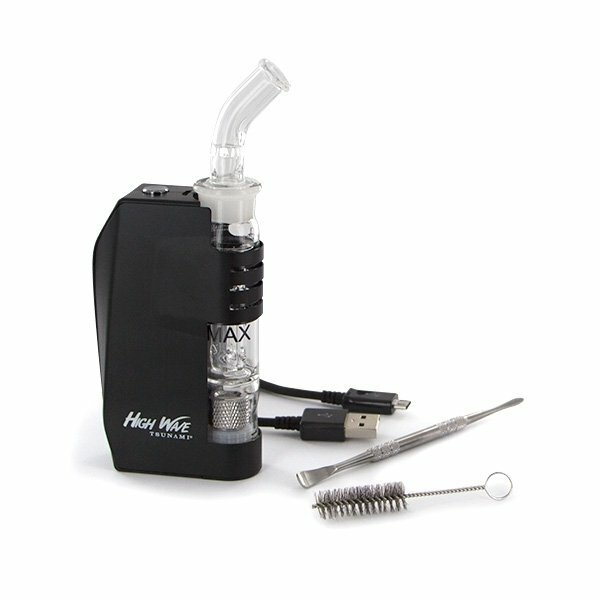 The Tsunami High Wave Premium Vaporizer is the first portable wax vape that has a built-in bubbler. It comes with a ceramic, donut-style wax chamber that heats up wax evenly. With one full charge of the High Wave’s 1800mAh high-capacity battery, you can use the device for 2-3 days. 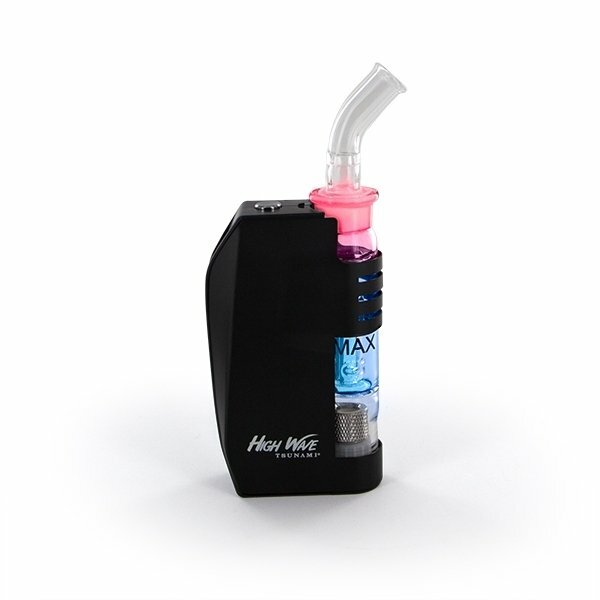 The Tsunami High Wave Premium wax vape is an advanced water vaping device that fits in all hands and easily slides in all pockets. It measures 92mm x 65mm x 177mm, which makes it very portable and great for some water bubbling fun on-the-go or at home. Despite the elaborate design of Tsunami’s latest premium vape, it is very simple and straightforward to use. Press the large button 5x to turn the unit on. Press and hold the button if you want to take a draw. The battery indicator light lets you know how much battery life is left. With the USB charger cable that's included, you can charge the device almost anywhere. You can easily clean the High Wave Tsunami with the included wiper brush. The kit also comes with a dabber tool. The Tsunami High Wave Premium comes with a 1 year manufacturer’s warranty for 100% satisfaction.